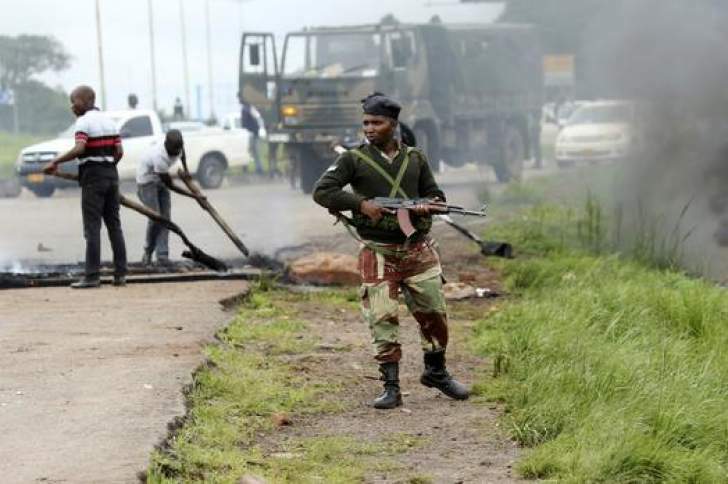 Associated Press has released a video of soldiers beating up citizens in Harare Central Business District. The video is one of the footage that the government did not want leaked to the world hence the internet shutdown. The video was alleged filmed on Wednesday. The United Nation, European union and the United Kingdom and USA have condemned the brutal manner in which the state has crushed the citizens after Monday protests.